As we look forward to embrace new opportunities in a new decade, we should review the learning of the past ten years. Broadly, we would all agree that the past decade had been extremely eventful for Indian real estate as well as the retail industry. Obviously, this growth wave was considerably impacted over the last two years. Both real estate and retail faced the ripple effects of the global financial crisis, a consequence of which was an immediate slowdown in the pace of activity in these sectors. However, a positive that could be seen was that landlords / mall owners as well as retailers / brands understood that nobody was insulated from the developments on the other side, and that there is a need to synergise efforts to achieve overall growth. Though this fact has been widely accepted, the market dynamics in the recent past have shifted invariably in favour of retailers, forcing landlords to re-think their strategies for market penetration. This has led to the need of adopting a comprehensive Asset Management practice to plan, develop and manage retail real estate assets. This practice emphases maximising asset cash flows, thereby enhancing asset values for the landlord in the long run. Towards this objective, landlords need to strategise and implement a comprehensive Asset Plan that encompasses not only strategies to provide retailers efficient shopping centre spaces to sell their merchandise from, but also ways to offer consumers the right shopping environment. This Asset Plan must cover various verticals such as leasing, marketing, finance, retail management and property management. A strong research base on these aspects helps determine the right size, design and tenant mix. Based on these inputs, a strong value proposition needs to be communicated to both the retailers as well as consumers, which in turn lays the basis of overall positioning of the asset in a competitive environment. A pre-requisite to growth is the leasing success (or occupancy level) achieved for the asset. This will depend upon the leasing strategy adopted, in which market dynamics play a pivotal role. As we are recovering from the economic downturn, determining whether it is a landlords’ or a tenants’ market depends on the maturity and dynamics of that particular market. In either case, landlords need to focus not only on lease pricing but also the lease structuring, since this can affect the cash flows of the asset in the long term. The feasibility of adopting either an aggressive approach or a defensive stand will differ from tenant to tenant (e.g. anchors or vanilla) as well as market to market (e.g. Tier I Prime or Tier II Secondary). As more and more stock gets added to the real estate inventory, rental, vacancy and absorption rates will continue to move depending upon underlying demand, market sentiment and future supply. Landlords often face tenants wishing to negotiate or re-negotiate their real estate costs, increase exposure and bring flexibility during their lease term. Some of the strategies adopted by tenants to reduce their costs may include fit-out incentives, extended rent-free periods, co-tenancy rental abatements, exclusivity, handing back space, cap on CAM payments, free signages, restricting rental movement on renewal / options, etc. In order to take decisions on such matters, a detailed analysis that factors in not only the current market situation but also the future dynamics needs to be undertaken. Some of the key elements of preparing a strategy are as follows. Current status in terms of the market cycle, and what the future holds in terms of vacancy, rentals, supply and absorption. Timing the leasing activity accordingly can lead to much higher returns. However, the flip side to this is occurrence of unforeseen economic events such as the Asian Financial Crisis, the Dot Com Bust and the Global Financial Crisis. Though forecasting future market conditions may not be an automatable practice, it is an important step to maintain asset value over a period of time. 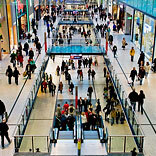 Not all shops in a shopping centre are equal in terms of visibility, access and efficiency. A retail precinct which will be visible to the retailers as value proposition and help to maximize returns needs to be identified. Identifying tenant needs as well as space attractiveness will help not only to improve less-than-lucrative spaces but also capitalize on the best. To engage in a dialogue with potential tenants would help landlords to create mutually beneficial solutions. To understand a retailer’s business is imperative in the current scenario, where revenue share deals are common. Whether they are performing well within the premises or not can substantially impact their continuation. Similarly, to know their needs can go a long way in streamlining the marketing strategy, operating costs, capex strategy etc. of the mall. All the above-mentioned parameters, once incorporated in the strategy, can help in taking an informed decision – which, in turn, can optimize cash flows and enhance asset value over a period of time. When tenants approach landlords to abate rents, engage in revenue share, surrender space or lease structuring/re-structuring, well-informed landlords can often take advantage of this situation and capitalize on them. Mall marketing practice becomes imperative to not only provide strong B2B and B2C connection, but also to add potential revenue to the mall’s cash flows. It helps in the overall positioning of the mall in a competitive market, and it adds value by helping both landlords as well as retailers maximize revenue. On the strategy front, various activities which can be undertaken right from the beginning would include preparing a brand strategy, advertising & public relations strategy, and an effective communications plan to ensure the right information is disseminated to the primary and secondary catchments. Further, during day-to-day operations, mall marketing can be effectively implemented to outline an event and promotions schedule merged with the retailers marketing plan to optimize marketing costs, enhance revenue potential and thus add value to the overall asset. Apart from the above, a sound marketing practice attempts to generate revenues from other streams such as casual leasing, mall signages, promotional campaign for retailers, etc. The revenue potential from these activities as well as the associated costs are then to be budgeted to understand the profitability of this department and then rolled into the mall cash flows to determine the overall impact on the property. Financial Management with reference to shopping centre would encompass all aspects pertaining to a uniform accounting practice - including accounts receivable, accounts payable, general ledger and balance sheet. On the accounts receivable front, tracking leases with regard to the rentals, CAM and critical lease dates becomes a significant exercise. With revenue share leases, tracking retailer sales further adds volume to the practice. Timely billing to tenants is necessary to avoid time delays and maintain sound financial health. Tracking accounts payable would involve managing vendor payments. Needless to say, getting tax audits done and filing tax returns on the asset or SPV level are imperative to meet compliances on an asset level. Further deep-diving, the day-to-day functions would involve billing and collections of rentals and CAM, payment to vendors, managing delinquencies, and debtors. One of the biggest value-additions that landlords can offer their tenants is a sound retail management platform, as it helps retailers attain their objective of maximizing revenues and thus ensuring their continuity in the mall. One can evaluate store sales and device methodologies to maximize these. Over a period of time, a retailer development programme can be evolved to identify and offer assistance to retailers in terms visibility via marketing, cross promotions, etc. so that the overall objective of increasing mall sales is achieved. Further, a re-location strategy, if required, may be devised for retailers who are perceived to need it. For a mall, retail management derives many linkages from the overall leasing as well as marketing strategies. It provides custom-made solutions for retailers with whom landlords have decided to partner. Another important aspect of retail management is effective lease administration, which ensures that lease covenants are enforced and adhered to, protecting the individual interests of retailers without compromising the macro interests of the mall. This aspect of management involves maintenance of physical structures as well as building services to ensure smooth operations of the mall. In the pre-occupancy stages, property management involves procurement of building systems and equipment, testing and commissioning of these equipments, tendering soft services such as security and cleaning and determining the overall Common Area Maintenance (CAM) charges for retailers. In the post-occupancy stages, the day-to-day activities include building management, again including planned and preventive maintenance of the mall’s civil infrastructure; mall services viz. HVAC systems, fire protection equipment, parking lots, waste management, food court management, garbage disposal, gas bank management, landscaping, etc. It further involves formulating and implementing guidelines to manage tenancy fit-out works for new stores, keeping in view the mall design without hampering day-to-day operations. It also involves monitoring existing tenants undertaking refurbishment or repair works. Property management can offer great value to retailers by controlling CAM or operational costs. Various methodologies, including manpower deployment on a ramp-up basis as well as energy conservation techniques, can be devised in the early stages to pass on the benefits to the incoming retailers. To facilitate occupants and customers alike, other facets of this practice include a sound security management to ensure safety, hands-on customer care management involving to address queries, disseminate feedbacks and help in building customer loyalty. To assimilate the above, a proactive Asset Management practice provides a robust footing to landlords who are looking forward to injecting vitality into their planned investments by virtue of creating shopping centers that are destinations in themselves, for both retailers and consumers. A solid strategy backed by research of market fundamentals enables landlords to take well-informed decisions, maximise returns and mitigate potential risks, thus enhancing asset value over a period of time. It can become a key differentiator in a competitive market scenario where focus of all stakeholders – internal as well as external - is towards adding value to the project as a whole. It pays to remember that the Indian real estate market is recovering from a serious slowdown, and that it is now looking at a decade where opportunities will again emerge. It will be interesting to see how landlords adapt themselves to capitalize on these opportunities and turn the game in their favour. Jones Lang LaSalle Meghraj is the Indian operations of Jones Lang LaSalle (NYSE: JLL), the only real estate money management and services firm named to FORTUNE magazine's "100 Best Companies to Work For" and Forbes magazine's "400 Best Big Companies". Globally, Jones Lang LaSalle (NYSE:JLL) is a professional service firm specializing in real estate.